Welcome To Quick Clean Car & Pet Wash Store, Ltd. Believe it or not, Quick Clean Car & Pet Wash opened our doors on June 29, 2005 – over 10 years ago. 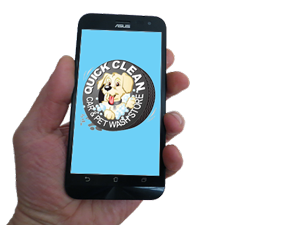 We were the first Vehicle and Pet Wash facility built in Northeast Ohio back then, and not to rest on our laurels, we opened the Groom Room at Quick Clean in 2007 to meet our patrons demand for full serve pet grooming. We’re still the pre-eminent 24/7 Touchless Vehicle Wash in the area and touchless wash more type vehicles than any other wash, including not only standard cars, trucks and vans, but Dually Pickups, Empty Ladder Rack Pickups and Vans, Light Duty Tow Trucks and even Accessorized Vehicles. You can touchless wash virtually any vehicle under 96 inches wide and 94 inches tall at Quick Clean. While that remains, our 2016 upgrades include a new, state of the art “Soft Touch” wash machine that is producing a wash superior to any wash you’ve experienced. It’s cutting edge technology that is going to change how people wash their vehicles. This machine features a wheel cleaning option that no similar wash in the area offers. A new touch screen POS system compliments the new wash equipment. This equipment permits the wash patron the option to purchase “Add On” products or services to truly customize their wash based on need or budget. Yes, time has certainly flown by and, looking back, we’re pleased to have served many a satisfied vehicle and pet owners over the years. As the premier vehicle and pet grooming facility in Ohio, we take great pride in maintaining our building and grounds to the highest standards and we’re always striving to improve the wash experience for our patrons. One of our recent upgrades includes the conversion to all LED lighting throughout the wash complex. We think you’ll be pleased with the bright, high quality light output that is energy efficient and environmentally friendly. We’ve also taken steps to be a better steward of our precious water resources by reducing our water consumption and protecting the quality of water within the eco-system as a member of the International Car Wash Association’s “WaterSavers” program. Learn more at carwash.org/watersavers. While we have expanded our offerings and made many improvements over the years, it would not be possible without the support of our loyal patrons. Whether you are a regular patron or an occasional guest, we THANK YOU for your continued support! Moving forward, we will strive to not only meet your expectations but to exceed your expectations. If we succeed, please tell a friend. Should we fall short, please inform us and we will make it right.